'Team Limerick Cleanup' Big Success! We would like to congratulate the leader of 'Team Limerick Cleanup', Paul O' Connell, who was the organiser of this massive event which got communities together and making a difference in their own local areas and Limerick in total. We hope such an event can become a regular occurance every year, that more people get involved and that communities can become stronger and areas more tidier. 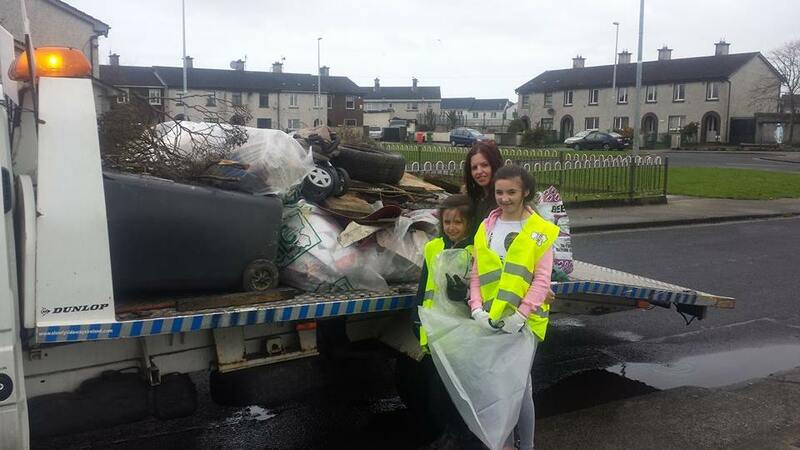 In Moyross we had many kids show interest in cleaning up with their family's which was brilliant to see. We would also like to thank Mr. Mc Manus who donated a large amount of funds so that such an event could exist, also a big thank you to all the people involved and the communities who participated. "It is great to see that communities have come together on such an occasion" said Tom Daly (Chairperson of the Moyross Residents Alliance).